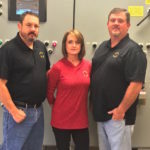 Columbian TecTank is recognized as the industry standard to store any fluid. The top choice of the largest engineering firms around the world, over 150,000 Columbian TecTanks have been installed in 125 countries in thousands of applications. 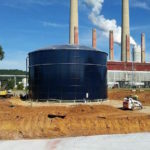 Using the top tier epoxy coating available in the liquid tank industry, Columbian TecTanks offer the highest quality at the lowest cost per gallon. Can be manufactured, erected and ready for operation up to three times faster than field-welded or concrete tanks. Resist corrosion with their high quality, ultra-durable coating, which leads to lower operating costs and longer tank life. Likewise, tank bottoms can be steel or concrete. Several hardware options (nuts and bolts, gaskets, etc.) are also available. Columbian TecTanks are available in three designs: HydroTec TS, HydroTec CS, and HydroTec Welded. 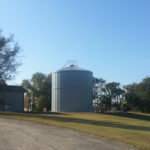 Established in 1893, Columbian TecTank (CTT) is the producer of epoxy-coated and other modular bolted steel tanks and factory-welded silos used in a variety of industries. 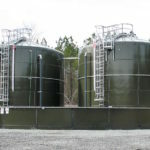 CST Storage, the company that manufactures the Columbian TecTank, was created in November, 2010 as a result of the merger of the tank manufacturers Engineered Storage Products Company (ESPC), producer of the Aquastore, Harvestore and Slurrystore glass-fused-to-steel tanks and Columbian TecTank (CTT). 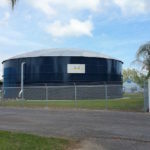 Contact us today for a quote on a Columbian TecTank. We’ll help you determine if it’s right for your next project.